By Stephen Pate – The Nokia Treasure Tag WS-2 will pair with your Lumia smartphone. Put it on your keychain and you can use it to find your keys. 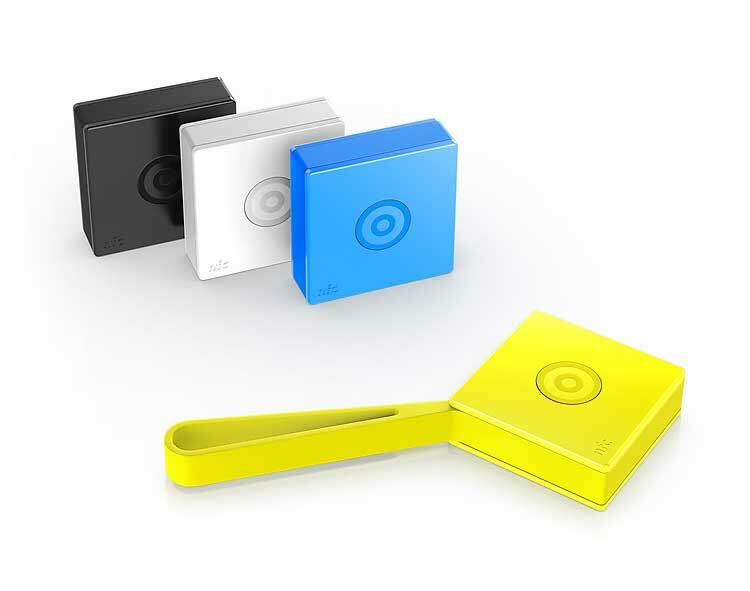 “Attach the Nokia Treasure Tag onto your important possessions, and it will notify you when you are about to leave them behind” says Nokia. Anyone seen my keys? The Treasure Tag is such a cool invention that will end those frustrating and frantic cries. Treasure Tags won’t find your phone but there is an app for that. You can mate up to 4 Tags with Bluetooth 4 and NFC pairing using the Treasure Tag app, available from the Windows Phone Store. Name the Tags and the app will tell you where they are. The battery is supposed to last for 6 months. Once paired, Treasure Tags pair with Nokia Here mapping to show where you’ve left tagged items. Treasure Tags ship in April 2014. At $30 each, I’ll just have to try one. Nokia promises an Android and iOS version of the app.